Jim Mattis credited US championed international pressure on North Korea over its nuclear weapons and missile programs for Pyongyang's offer of talks with the South but added it was too soon to say whether the North Korean gesture was meaningful. 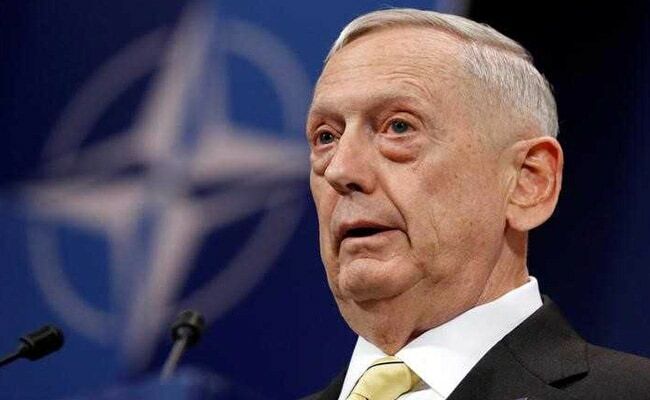 Washington: US Defence Secretary Jim Mattis on Thursday played down a delay of US-South Korean military exercises, saying they would resume after the conclusion of the March 9-18 Paralympics and that their postponement was simply due to logistical concerns. Mattis also credited US championed international pressure on North Korea over its nuclear weapons and missile programs for Pyongyang's offer of talks with the South but added it was too soon to say whether the North Korean gesture was meaningful. "I wouldn't read too much into it because we don't know if it's a genuine olive branch," Mattis said during an impromptu, off-camera press briefing at the Pentagon. Mattis praised the United Nations for the pressure it has put on Pyongyang, pointing to the three latest rounds of sanctions that have sought to squeeze the North's economy as punishment for its weapons programs. North Korean leader Kim Jong Un is racing to develop a nuclear-tipped intercontinental ballistic missile capable of reliably striking the United States. "It is difficult for me to disassociate that he's now wanting to negotiate on any issue (after) months and months of unanimous United Nations Security Council effort," Mattis said, referring to Kim. Trump on Thursday called potential talks between North and South Korea "a good thing" and took credit for any dialogue. The South Korean and U.S. militaries usually hold military exercises called Key Resolve and Foal Eagle every spring, which can involve as many as 17,000 U.S. troops and more than 300,000 South Koreans. North Korea denounces the drills as preparations to invade it, and it has at times conducted missile tests or taken other aggressive action in response. Discussions on whether to postpone the drills have been going on for months. Mattis said the decision to delay the drills until after the Olympics and subsequent Paralympics was due to logistical concerns, since many South Korean security forces would be occupied with the country's biggest tourist event of the year. "I would say for us it's a practical matter," Mattis said, refusing to link it to any overtures toward dialogue between the Koreas. On Tuesday, Trump responded to Kim's New Year's Day speech, in which Kim warned he had a nuclear button on his desk, by saying that his nuclear button "is a much bigger & more powerful one than his, and my Button works!" The tweet provoked strong criticism, especially from Trump's Democratic opponents, and former Vice President Joe Biden called it dangerously cavalier. Mattis declined to comment on Trump's remarks, referring reporters to the White House.